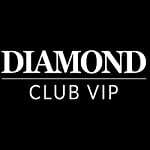 DiamondClubVIP Casino invites all its existing players to benefit from this promotion. Log in, make a second deposit, and you can get a 150% up to £1000 via customer support. The extra money can be used on any game you want. Double your chances of winning right away! Wager the bonus and deposit amount 20 times and after that, you can cash out. With DiamondClubVIP Casino you can enjoy your favourite hobby in the best way!